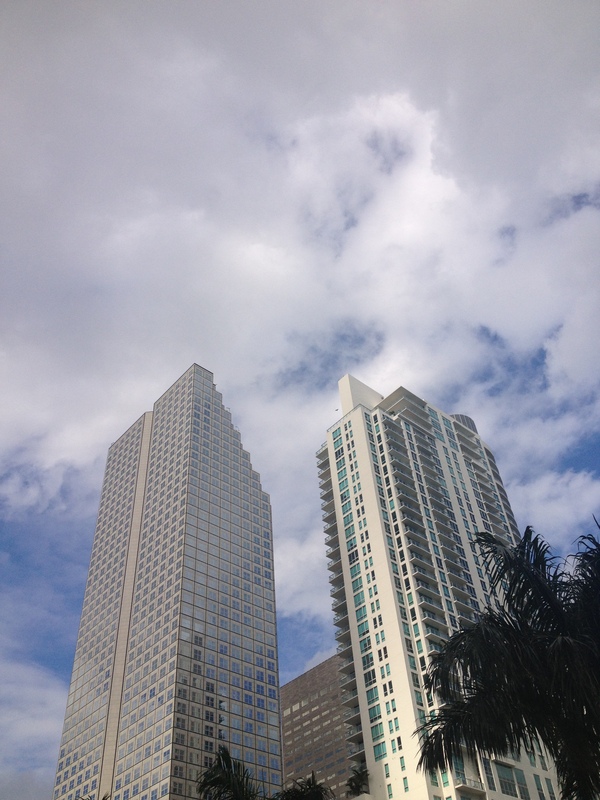 coming out of Zuma, after a luvFAB brunch, and stimulating conversation, i looked up and noticed the Southeast Financial Center. although this building stood tall before my eyes, what i saw was a stairway. a cloudy sky, yet out of the blue, a melody came to mind. i am not familiar with this song, and i lack musical skills, but the lyrics played in my mind. makes me wonder. is there a stairway to heaven? makes me wonder. to wonder is for thebestdressup now! 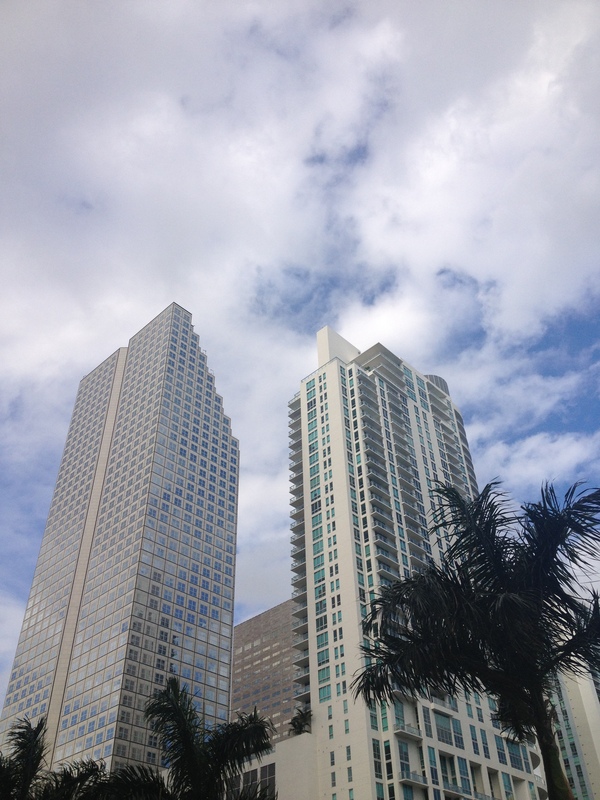 This entry was posted in luvFAB, MUSIC, PEOPLE, RESTAURANT, TRAVEL and tagged A STAIRWAY TO HEAVEN, LED ZEPPELIN, MIAMI, SOUTHEAST FINANCIAL CENTER, ZUMA RESTAURANT. Bookmark the permalink. ciao! i am fascinated with architecture. strange how the song came to mind…actually, does make me wonder. great connection. But you saw those stacked condos! It was a great catch! Diplomicy is something we do everyday and people everywhere forget that all they do other then speaking including their business is the non verbal of their skill as a single unit to business. Tall building are good. I live in Sacramento and the Corp America building does nothing to compliment any other building around it. The outside of it tells all of Sacramento F-off I am indiffirent ot you, A billion dollar corp. America F-off Sarcamento citizens. If you are going to build in a community at least try to compliment local scenery. This building United NAtions Supported with corporate America Logo on it is a hueg f-off we refuse to consider anything but our buisness. The other arcitcture here, all UN driven is a total same. All paid for by the local taxpayers too. This two tower with one in the middle is here too. Just made me think too and it wasn’t stairway to heaven but the indiffirence probaly in cities all over the world makes it a hell. The cost of housing those votes just never reached those ballots. ciao! it makes me wonder…thanks for your personal comment. I remember my son sending me a photo of the ‘Zuma’ restaurant in London, where he went for a business dinner. Our South African president is Zuma, but he’s not nearly as delectable as the food at the restaurants which share his name. 😉 Stairway to Heaven is one of my best songs ever. ciao! connections…zuma london is on of my favourites…delectable:) and on another note; perhaps when they are full with power, they are less appetising. i truly appreciate your comment. Stairway to heaven is my favorite song!! ciao! no need to wonder; we are connected. “Stairway to heaven,” is the way to go. I wish life is always like that…a piece of heaven although we can have little bits of it eevry now and then. Awww, so nice to see you quoting the stairway to heaven quote.. I have recently posted a photo of one of their guitars and I attached the song 🙂 These two are so well captured! ciao!thanks. we are connected. compliments on your luvFAB post.